“Bike thieves – humiliate them whenever possible” should be every unfortunate bike owner’s life motto. 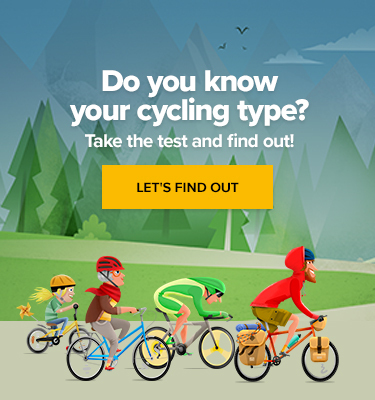 They make our lives harder and our bikes disappear. Two San Franciscan designers put their heads together and came up with a very specific type of a deterrent bike protection. 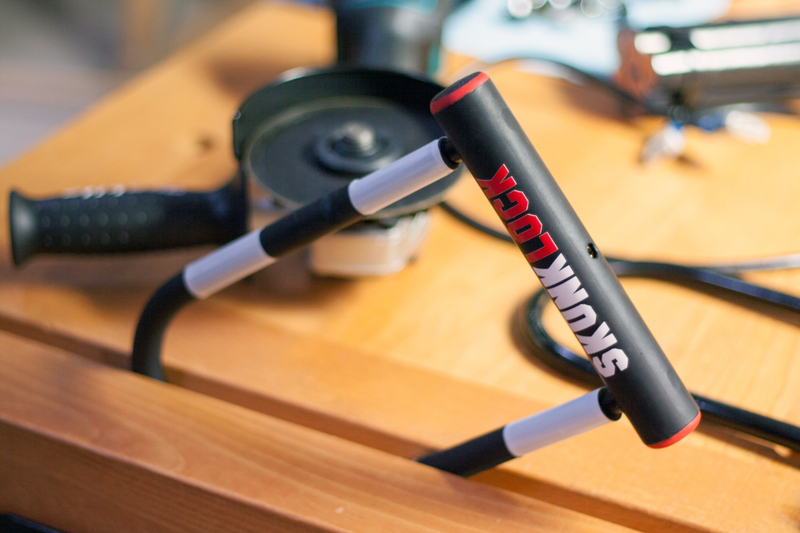 The Indiegogo campaign, through which the SkunkLock is being crowdfunded, describes the device as “the only lock that fights back”. 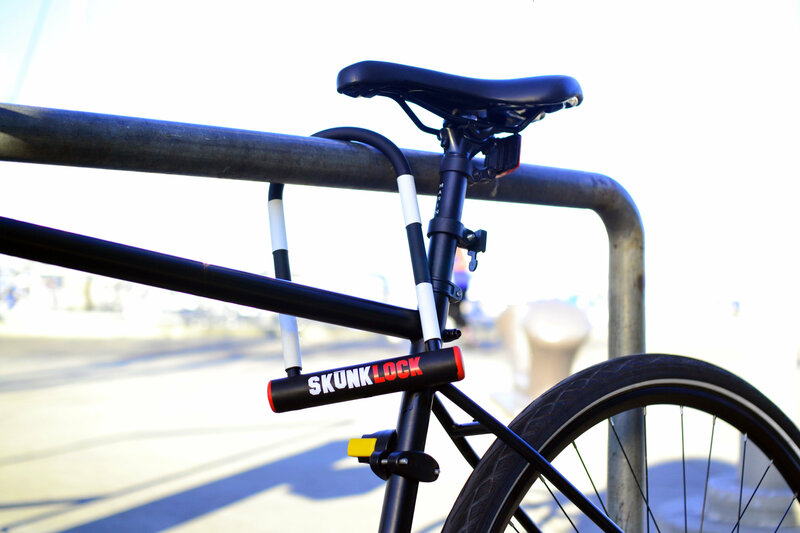 The designers do not claim their lock is the ultimate bike theft solution but it might make thieves think twice about stealing your precious two-wheeled companion after being covered in layers of their own puke. Yes, that is what the inventors promise will happen. With bike theft being rampant in San Francisco and the Bay Area, the lock became a hit and people pledged more than a double of the flexible goal on Indiegogo so far. The inventors also had their smelly gases tested (no pun intended) and their variants were designed to be compliant according to the varying rules of 50 states, major cities and, EU nations. The device was not yet tested on actual thieves but the inventors have used theirs and their friends’ noses to do the research. “At two feet (60cm) it was pretty bad. It was absolutely vomit inducing in 99% of people. At five feet it’s very noticeable and the initial reaction is to move away from it. At 10ft it’s definitely detectable and very unpleasant,” noted Idzkowski. Yves and Daniel admit that the lock isn’t fool-proof, it can still be picked but it uses advanced disc-cylinder tumbler lock that can take even skilled lockpicks 30 minutes of fiddling around, thus resulting in plenty of time to be noticed. And even if you were to wait until all the gas is spent to finish sawing through the lock – the substances are designed to cling to your clothes and skin and if you manage to not puke all your intestines out, crawl back home, have a shower, have a change of clothes, and return to the crime scene to finish the gig, well, maybe stealing bikes isn’t your biggest problem. SkunkLock should go to production in June 2017, pending risk assessment by the inventors’ legal team.